I have friendships with both women and men who are in the military, or are a military spouse. The work and dedication that goes into not only protecting our country, but protecting the families on the home front of those who support their military service member is a huge feat, accomplished daily by the ones who are in the thick of it. Having been a military spouse myself, I was interested in reading Harper’s own experiences and finding a sense of authenticity within- and it was there, at large, within her thoughts, her actions, and in what she experiences. A raw, honest read. With points of view that shift between Harper, Noah, and Bennett, we’re given the full picture. Harper has a hard time with getting past her husband’s death, trying desperately to shield that reality from their son. Bennett lives with survivor’s guilt, so even with the spark of potential he feels for Harper, he has a hard time getting past the fact that he’s the one who made it home, when Noah didn’t. Threaded in are Allison’s experiences with her own husband, who is struggling with PTSD. Within each vantage point, the puzzle pieces of everyone’s life begins to fall into place, with some of the biggest questions slowly answered. Like, what really happened to Noah? And, can Harper really move on? The budding romance between Harper and Bennett feels shaky at first, much like what I’d imagine it to be in “real” life. Harper wonders if Noah would accept Bennett, if she’s somehow minimizing his memory by moving on and finding love again. I could feel the tension with that, the hesitancy. It made for a very satisfying read, because the path to get there is drawn out, but in the best of ways. It gives us a chance to see the transformations, good or bad, with every character. 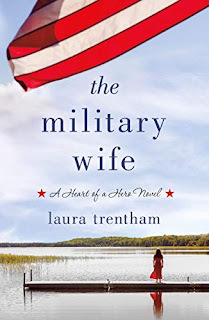 I appreciate the deep emotional subject matter that encompasses The Military Wife. 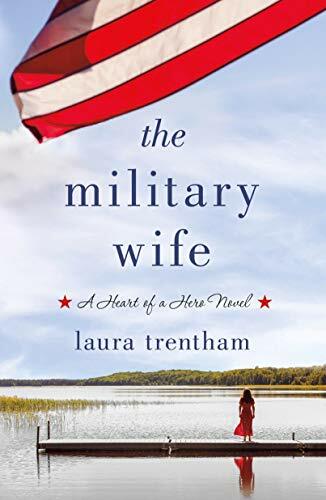 It’s not often that we find a novel that delves into the world of what being in the military is all about, and while I could identify with some of it, having lived it myself, it was also an eye-opening experience that was well worth the read, and well worth the five stars I’ve given it. Thanks to St. Martin's Press for the book in exchange for an honest review. They have one copy to give away! Giveaway ends February 18th at midnight EST. I know quite a few people who have served in the military. One friend's son just signed up for when he graduates high school. He's joining the Marines. Another friend had her son just join the Army. No one at present but my father served in WWII and his father in both world wars. A friend of mine is currently serving in the military. Thanks for the chance! My Dad and his brothers were in the military. One of my uncles was MIA in Korea. My husband served in Vietnam and my dad served in WW11. My Dad & my Uncle Jimmy were in the Navy during WWII - that uncles brother was in the Army & became a German POW. My cousin was in the Air Force in the late 60's. My Dad's an Air Force Vietnam Vet! My dad served in the Vietnam War. Lots of my family. 3 undles, 2 nephews and even My Godson all served in the militsry. My son was in the Marines for four years. Thanks for your generosity. My husband and my dad. Many of my uncles and one of my brother in laws served their country. All different branches. Both of my Grandfathers served our country and my father-in-law was in the service as well. Super thankful to ALL of those that serve our country!